This day of national commemoration, the observation of which which had actually been made an Act of Parliament in January 1605/06, called for a public thanksgiving for the failure of the plot to kill King James I, the Head of State. The article begins by reporting on the working class local community and their lack of producing quality 'Guys' to celebrate this National day. The journalist reports that there were very few 'guys' and those that were made were poor quality. "The few that appeared were of an unusually squalid character, and two 'guys' (in every sense of the word) on a donkey cart were the only ones which attracted any great amount of attention. The 'guys' were made up in various forms. The attendants, however, were all agreed on one point - in wanting coppers - and if the public would but withhold their pence there would soon be an end to this stupid custom". I think the writer would be interested to know that only recently is this practise going out of our custom, probably being due to the ever increasing popularity of Halloween just a few days prior. 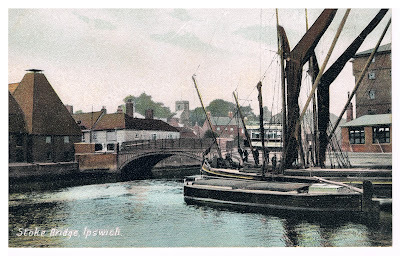 The events happening within Great Britain as a whole should be addressed in order to understand the state of working class life in Ipswich and the events which followed at that time. The day originally marked as anti-Catholic (Guy Fawkes was a Catholic) over the years had taken on a new meaning. It was regarded as a day where violence would erupt by the lower classes as a chance to 'pit disorder against order, a pretext for violence and uncontrolled revelry'. Due to this social unrest steps were taken by the authorities and The Anniversary Days Observance Act repealed the original 1606 Act to observe this day and the sale of fireworks was restricted. Around his time there were various incidences of social unrest due to the increase in food prices, the most famous being the Swing Riots of 1830. The people of Ipswich, it appears (like those in Exeter in the same evening) incensed by rising food prices and banned from firing their customary bonfires and fireworks, congregated at the Cornhill. 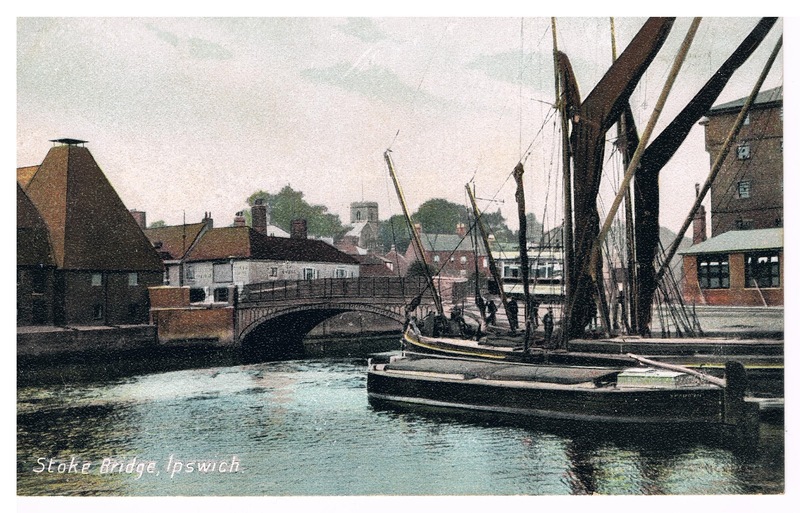 It should be noted that the better class of schools in Ipswich provided bonfires and fireworks for their boys whilst the poorer boys had to make do with letting off crackers and other fireworks in the streets (illegally!). Whether this was another reason for the later actions of the evening we do not know. However, it appears that matters escalated during the evening. The number of people congregating at the Cornhill grew to 500 at it's peak, the writer does not give any indication of events before, but retells the evening from the call of 'Now for Fison's Mill!'. "Large numbers proceeded at great speed down Queen Street, St Nicholas Street, to Stoke Bridge, where they stationed themselves [at Fison's Mill] and commenced throwing stones at the windows". Apparently all through the day there were rumours that the mill would be attacked because of the increase in the price of flour but it was treated as an idle threat and nothing was done by the authorities in preparation. "The roughs in all probability had no intention at first of making an onslaught upon the mill, but having congregated the rumour suggested the cry 'Now for the Mill' which was forthwith acted upon. The mob evidently had no defined purpose but that of doing mischief, for the damage was not confined to the mill." The result of the actions of the mob that night were far less damaging than it could have been. There were a few windows broken by the mob along the route to the Mill and about 50 windows were broken on the mill itself, mostly due to a new road being laid and missiles being readily available. The authorities were hampered by onlookers (wittingly or unwittingly) acting as a shield preventing the police from making many apprehensions. The next night, the reporter mentions a similar scene of events with a mob this time being thwarted by the local constabulary at the mill, who then made a cry, this time for the Convent. It appears that any damage done this day was also minimal.